Lavallette will begin receiving beach replenishment sand and newly-built dunes in about a week, officials said. Stephen Rochette, spokesman for the U.S. Army Corps of Engineers Philadelphia district, said the project will come to Lavallette after work is completed in the South Seaside Park section of Berkeley Township. The work is expected to last through early May, but be completed in time for summer. Before crews can start pumping sand onto beaches, equipment must be staged and a network of pipes must be built to carry the sand from the ocean flood to the beachfront. Beaches will be expanded to at least 200-feet in width with 22-foot high dunes. The dunes will eventually be anchored with five species of vegetation – mainly dune grass – that will be planted during the growing season next fall. The expanded beaches will also mean expanded access to the oceanfront, a major issue among residents since numerous access points were closed following Superstorm Sandy in 2012. Access points will return to each street after the project is completed. Weeks Marine, the federal government’s contractor, will build crossover ramps on top of the dune line – rather than cutting through it like the previous openings. That strategy prevents the dune line from breaching during storms and ensures water cannot be funneled through one location, causing damage to homes and the boardwalk. 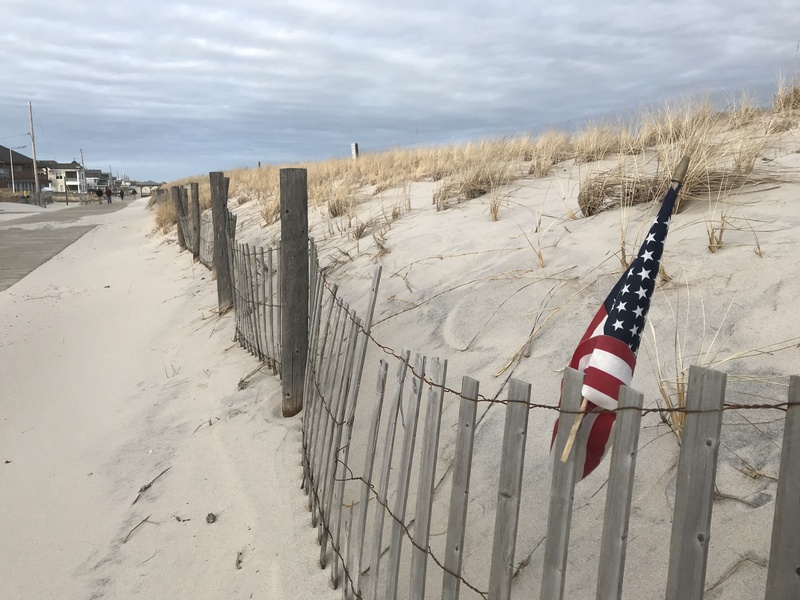 Mayor Walter LaCicero said this week that the borough will also restore a 10-foot buffer between the dune and the boardwalk where sand can collect during storms rather than piling up on the walkway (and in residents’ front yards). One resident, at Monday’s borough council meeting, expressed concern that the unvegetated dune will cause more sand to blow, however officials said the plantings must occur in the fall in order for the flora to survive.